Apartheid, exclusion, easy targets – Gauteng’s education MEC and AfriForum’s chief executive left no issue off the agenda during a debate in Tembisa on the East Rand today. AfriForum’s Kallie Kriel said Gauteng Education MEC Panyaza Lesufi should focus on the problems plaguing public schools, rather than targeting Afrikaans-medium schools. “We believe that the target is at the wrong place, the real enemy that we all want to fight is that 80% of our schools in the country are dysfunctional,” Kriel said during the debate. He said Afrikaans-medium schools made up only 2.5% of schools in the province. 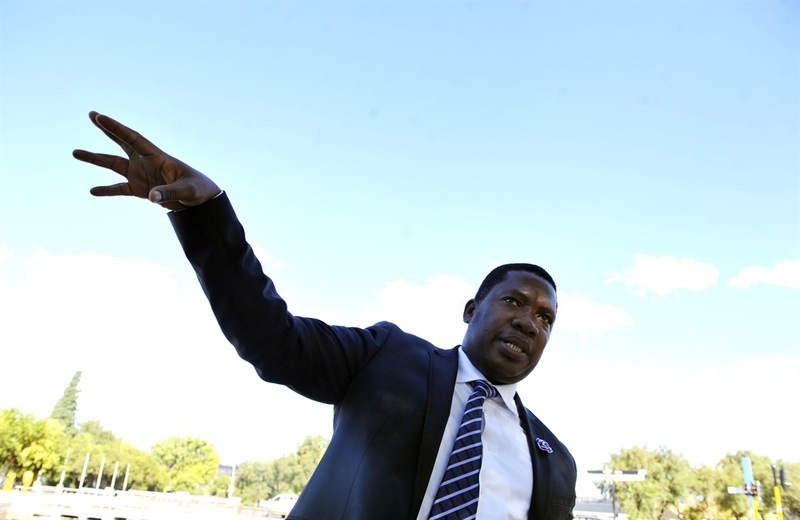 He said Lesufi needed to address the main problem within the schooling system – which was the grip that the South African Democratic Teachers’ Union (Sadtu) had on the basic education system. “I have heard of many instances where teachers don’t pitch up for class and they are not doing their work properly and then they are protected by Sadtu. He wanted to dispel the myth that Afrikaans schools were portrayed as “exclusive white spaces” and challenged Lesufi to show him a single public Afrikaans school in Gauteng that was exclusively white. “That is certainly not the case. My own children are in Afrikaans schools and there are black children in those schools. We know that the MEC’s child was in an Afrikaans school. It shows that they are not exclusively white schools,” Kriel said. Lesufi replied that the current state of public school education was a direct result of how the apartheid regime dealt with black children. “In 1982, the apartheid education system was paying R1211 on white children; they were spending R146 on a black child. So if you say our education system is dysfunctional, who made it dysfunctional in the first place? “It means that when you were building schools, you were building better facilities in your own areas and schools with worse facilities in our own areas. So you want to tell us that be trapped in those areas, don’t move to ours because ours we are defending a language. “You are not defending a language, you are defending your territory, that’s the bottom line,” Lesufi said. He accused Afrikaans-medium schools of excluding themselves by not taking part in cultural and sporting public school events. “There’s an association of sports that strictly deal with Afrikaans language, so there’s no social cohesion. We’ve got a national choir concert. Have you seen Afrikaans schools participating in those choir concerts? Who’s excluding them? They are excluding themselves. Afrikaners have privatised school sports in their own schools; check the companies that own those school sports. We are only saying ‘make these facilities available for all of us’,” he said. Lesufi vowed to undo everything former prime minister Hendrik Verwoerd had done during apartheid. He reassured AfriForum that he was not seeking to do way with the language, but wanted all public schools to be inclusive. “If there is a school that wants to use Afrikaans as a mother tongue, under my leadership, they have the right, they are entitled, I will defend them. There will be no school that will be undermined purely because it is teaching Afrikaans. He did not want schools that only had “klein baase” (little bosses).